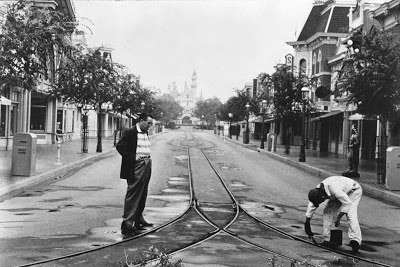 Walt on Main Street before the park opens. Many of us enjoy taking a walk down Main Street; I would dare to say that all of us do considering that you have to. Taking that walk can be meaningless to some, but to the Disney aficionados, it’s full of nostalgia and memories of days gone by. Main Street U.S.A was made to commemorate the memory that Walt had of the industry in small-town America while he was growing up. 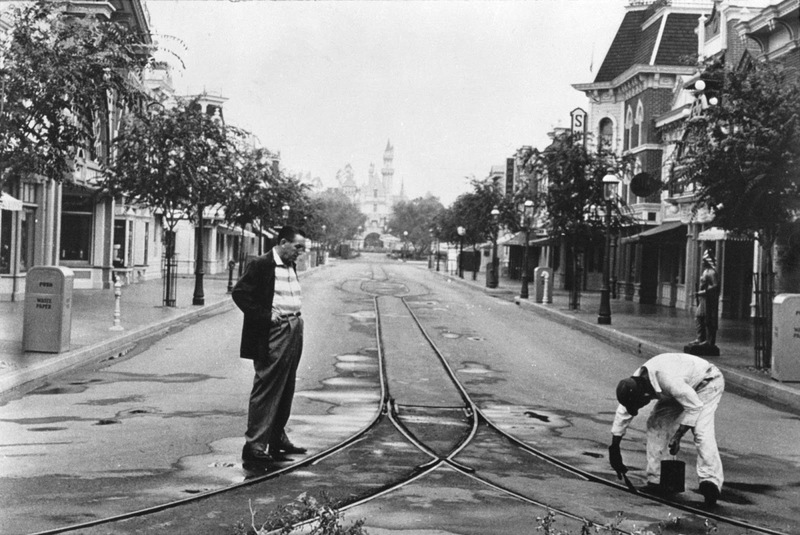 Walt had fond memories of those types of streets and he loved walking up and down that street whenever he stayed in the park. What people may not know, or wonder about, is the names that are on the Main Street windows. Why are they there? 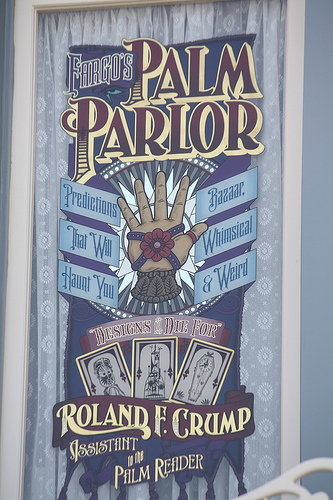 Are they real names or fake ones the Imagineers conjured up in a dream? If you don’t ask, you’ll never know, and one time on my many Disney trips, I finally asked, and the answer I got amazed me. When I was little, I remembered walking down Main Street and seeing the names on the widows, I didn't give it any thought. But what it actually is, basically, is a credit reel for the park! Everyone who contributed in a big way to Disney, their names are up there. Artists, Imagineers, Walt’s family, lots of important people are on those windows, and most of them are dead. It’s almost a memorial as well. 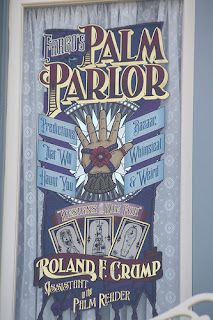 I love it because this is the type of Disney Gem that people could just walk by and not even think about the men and women on the windows who've made Disneyland what it is today. People who had visions of grandeur and made them into reality! It’s fantastic to research the names and find out how they contributed to the park. 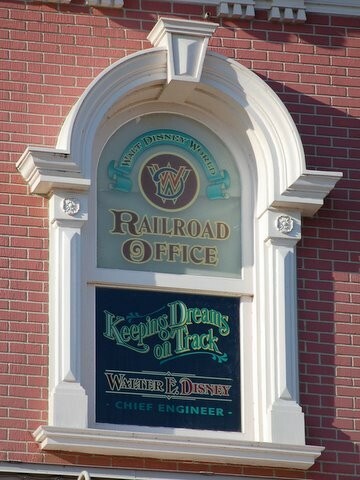 The window of Walt's dad. 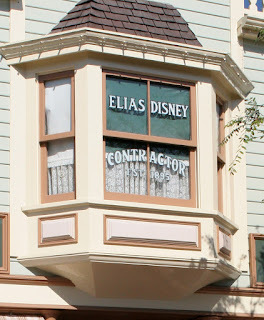 It would seem fitting that Elias Disney is on one of the windows, being Walt’s father and all. Aside from Walt’s Father, there are many more names that are honored as you stroll down the street. Good ol’ Don DaGradi’s name can be found above the Market House. Who is Don DaGradi? Well I’ll tell you. He was another intricate tool that Walt used. Don was a story man and writer for great Disney films such as Pinocchio, Mary Poppins, Peter Pan, and many others. 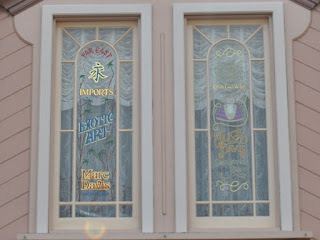 Are you getting why the windows of Main Street deserve to be Gems yet? The other amazing thing about the windows is that each one has a story to tell. 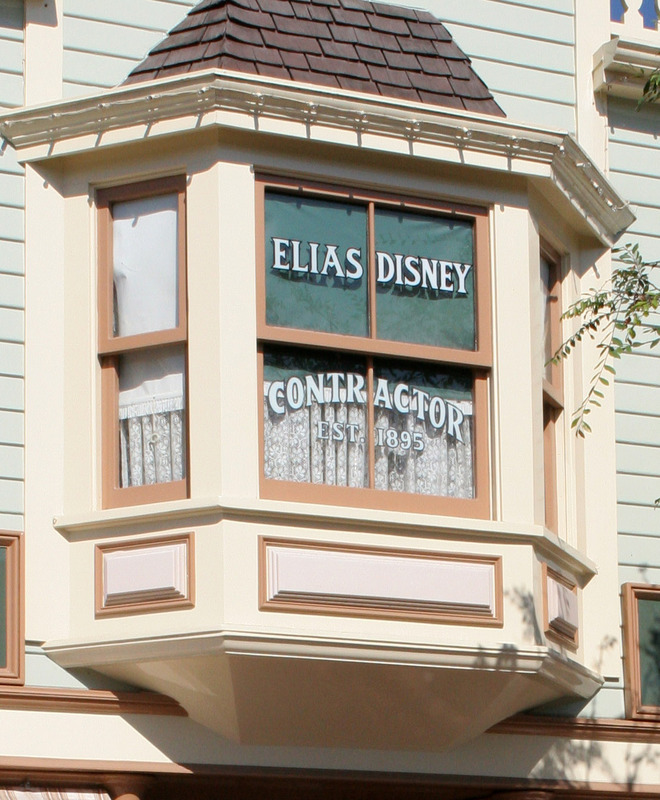 Each name on the windows was an intricate part of making Disney what it is today. When you walk down Main Street USA, you’re literally walking down memory lane. I know that a lot of websites have already written about the windows, but this is my bi-weekly Gem…not theirs. What I’m telling you is that there’s always so much more to Disneyland than you realize. So much more history and stories. 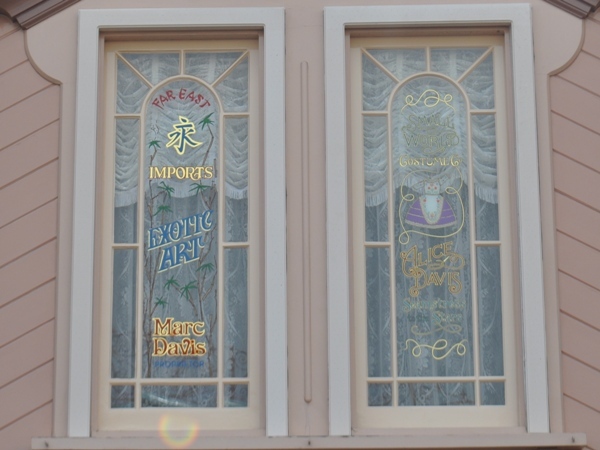 Everything in the park has its own story to tell, and on Main Street USA, every window with a name on it has a different story as well. So you see, if you don’t look for the Gems, you’ll miss them. Next time you’re at the parks, take some time to look up at the windows and salute those who have made Disneyland a wonderful place! They all put their hearts and souls into it, and it shows!